NEW! The Color Correction Home Study : Is it for you? Wouldn’t you love to stop struggling color correcting video? I struggled with it for many years. I was a straight-to-broadcast online editor who was taught at the very start of his career what good images look like. And concepts like broadcast legality? They were burned into my soul. But when I transitioned to non-linear editing, bona-fide color correction tools were placed at my fingertips (Avid Symphony, Autodesk Smoke, Final Cut Pro’s 3-Way Color Corrector). At that point, my ability to make nuanced changes to discreet areas of the image went up exponentially! Unfortunately, none of my video editor mentors were any more well versed in this ‘color correction voodoo’ than I was. Back then, film colorists were a much rarer breed – and extremely secretive. The result is that I had to struggle to learn it on my own. For many years I struggled in the craft of Color Correction . . . I usually managed to produce good-looking images (far better than most of my peers, due my focused attention on developing that skill set). And clients noticed. I’d often win jobs as an editor, in part, because of my ability to ‘bring the job home’ at the end of the process—not just telling the story editorially but visually, too. And for my clients, the additional Production Value that my efforts created? I made my clients look good to their clients. Over time, through focused practice, I got better at balancing images, matching shots and creating distinct Looks, mood and emotion. Eventually I became confident enough to start teaching others what I had discovered. Atlanta, Georgia – Graduates from the small group Live Training… color grading the short film, “Death Scenes”. 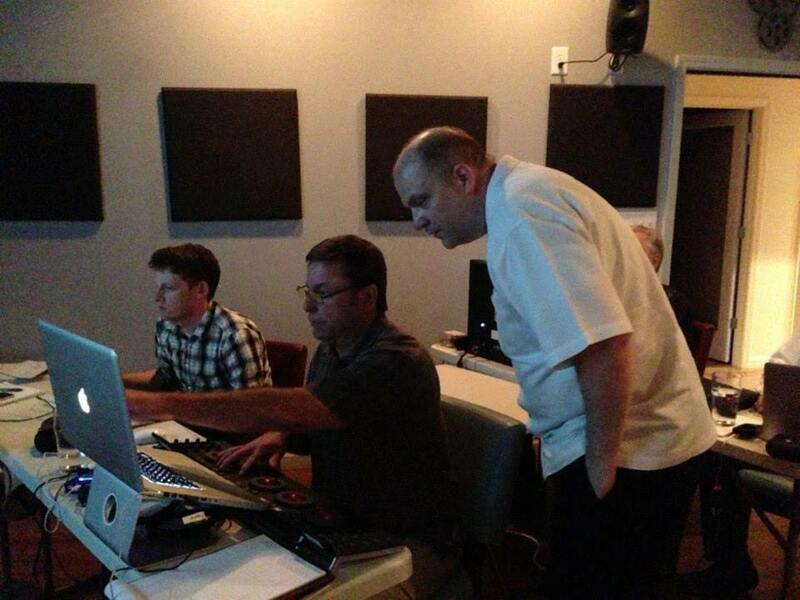 In 2006 I started teaching color grading in front of local Final Cut Pro User Groups. And I started a whole new learning curve! I was asked questions I had never considered. 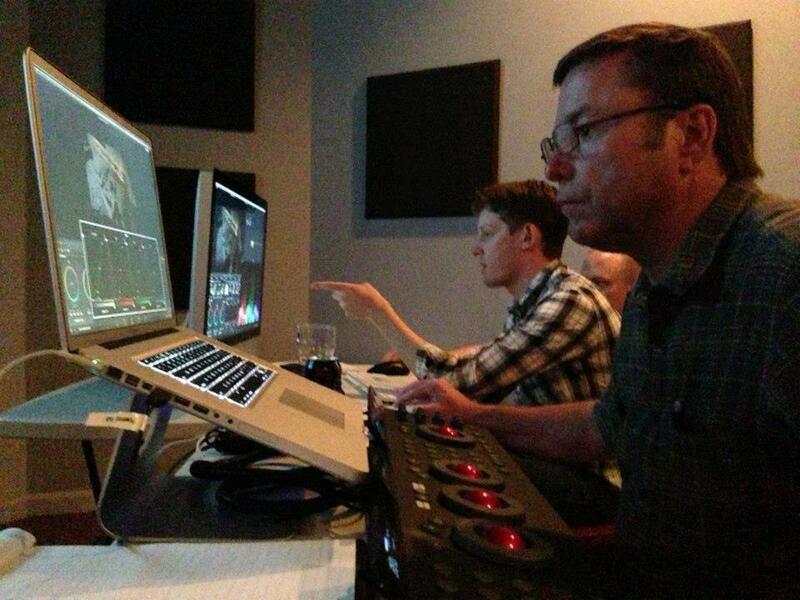 And finding those answers often involved research and paying much more attention to myself, as I was color grading. In fact, the biggest benefit I had teaching others how to color correct—it forced me to focus on… my eyes and hands! Where are my eyes looking, specifically? Why am I making the decisions I’m making? And do my answers to the above questions change – based on how early or late in the color grading process I’m working? As I started answering these questions for others, at these User Group meetings – I found I became more proficient as a colorist. My learning curve became much less steep – as I explored the fundamentals of the craft, to better explain it to others. All of this is to say . . . I’ve been in your position, struggling! I remember not understanding why color work that looked great in the morning didn’t look the same after lunch. I remember struggling with reading an RGB Parade scope… knowing what it was telling me but not knowing how to turn it into actionable information. I remember asking myself: Is my work any good? These were questions I never had to ask myself as an editor. After all, I was trained at a busy New York City post-production facility where 90% of my work went straight to air. All those questions were answered by the Editors in front of me. THEY trained me. I didn’t realize until a few years ago that the value of their guidance were the years it took off my learning curve, struggling to not make mistakes they all had already made. Working under experienced, senior editors accelerated my career by YEARS. But in this new world of software-based color correction? The opportunity for that kind of growth, learning color correction, is still extremely hard to find. In the Home Study I slice and dice all the various interface elements so you know what I’m looking at – and what I’m ignoring. The Home Study is based on my insights in my own struggles migrating from professional editor to professional colorist. 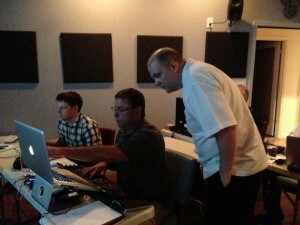 Those struggles have helped inform me how I want to create my own training, here at the TaoOfColor.com. 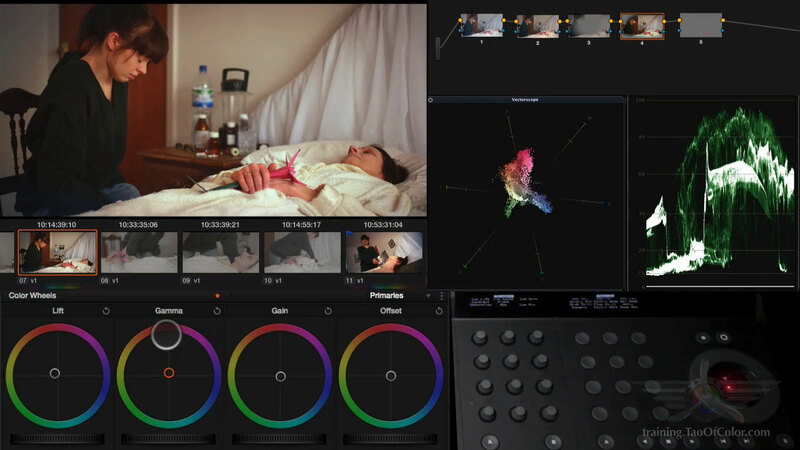 The Color Correction Home Study : Mother Died Edition is the latest iteration in almost 4 years on online mentoring in the craft of color grading. Get you functional on your color correction software, quickly—so you can move on to doing real work, confidently. Drill the interface training into your muscles by giving you a real-life, meaty project that replicates a real-world color grading job as closely as I can. Answer the question: Am I doing this correctly? Is this Home Study for you? If you’re serious about learning color grading – would you turn down an opportunity to sit next to a professional colorist for a few days? Especially if he was offering you to take home the same film he was working on for you to explore on your own? That’s what this Home Study offers you. The Home Study is distillation of almost 15 years of color grading – from someone who had to struggle to get proficient in it. If you head over to the product page you’ll get a full run-down of all the details of the ‘Mother Died Home Study’. The code expires May 31, 2014. And the price of the MasterClass will keep raising over the next week or two during this Launch window. So don’t tarry. If you’re interested, check it out today! And you can read more on this blog about this latest iteration of our Home Study here and here. I am very pleased to announce that Tao of Color is now offering live training workshops in seven cities around the United States in the Summer / Fall of 2013. This idea of offering live workshops—which are an extension of my online training–has been on my agenda for a long time but i was missing one vital component… a short film to base the training around. Why a short film? I needed a short film so I could workshop / mimic a color grading job. From launching the software through final delivery it allows me to teach the software interface on a single cohesive project–rather than a random collection of clips. And all during the process we can talk craft and client relations. It also allows us to do one of the most difficult things there is… grading to someone else’s vision. It allows for a marriage of theory + craft + software. 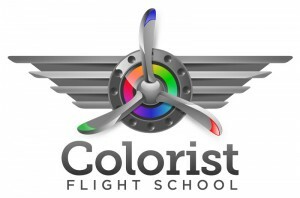 BloodyCuts.co.uk and Colorist Flight School LIVE! Anyone who has followed the Tao of Color knows that we’ve developed a very close relationship with the horror film anthology site, BloodyCuts.co.uk. I grade their extremely popular short films and they license back to me those films in any training that I develop here on the Tao… plus they get a percentage of each transaction, which helps fund their next short film… Win, win and win. And upon grading the 8th short film in their series, Death Scenes, this past winter – I knew I had finally found the film I needed for my Live workshops. What makes Death Scenes so good for this 3-day workshop? It’s just long enough: At under 5 minutes, it’s meaty enough to sustain three days of instruction and hands-on training (it took me about 12 hours to grade that film the first time around, including revisions) without being ovewhelming. It’s fun: The antagonist in the film has a GREAT look and the twist surprise at the end was extremely well executed with top-notch monster prosthetics. It cleans up nicely: The film was shot ‘flat-style’ on a Sony F-3. You can really see the results of your work while having many shot-matching challenges associated with an aggressive shooting schedule. Plus, since it was shot directly to ProRes422HQ, the footage is high-quality but not pristine—reflecting the reality that most of us have to deal with on a daily basis. It can be made PG: The blood in this film is largely incidental to the story. I was able to edit out all the objectionable material without losing the story (scroll down to watch the cut-down of the film we’ll be grading in the workshop… and yes, I provide the uncut version of the film if you want to practice with that version at home). Creating Looks is part of the director’s vision: The director needs us to come up with three different Looks for this film – one for the main storyline and two other distinct looks for two different flashbacks from two unique perspectives. Students can take the film home: As with my online training, students are licensed to take this film home with them, continue working on it and integrate their grades into demo reels or use in private client demos. This requirement is really REALLY important to me. Whenever I take live training I’m always annoyed that I can’t take the footage home with me to work with and continue practicing… especially since it’s so hard to find good challenging coherent material to practice upon. All the training at the Tao features this unique benefit and this workshop is no exception. A 3-Day Workshop That Spans Weeks! Having a great film isn’t enough… I wanted to create a workshop with ‘legs’. One that starts several weeks before the workshop – and continues long after the workshop ends. I don’t just want to present a ‘3 Days and Out’ event. Two weeks before the Workshop: You’ll gain access to a special sub-site here on the Tao of Color and 14 days before the workshop begins you get access to my one-hour Webinar, “Why Color Grading Is So Hard (and what you can do about it)”. This presentation ensure that the day we start the workshop, everyone in the room has the same fundamental foundation about color grading, room setup, the color grading process and how to read scopes. Even very experienced pros find this presentation filled with interesting facts and I consider it a foundational video for EVERYTHING I do here at the Tao. If you buy ANY of my training here at the Tao you get a similar video… and the Live Workshop is no different. One week before the Workshop: I release my audio recording of my first conversation with the Director and Editor of Death Scenes as we discuss their technical and creative goals and challenges. This 45 minute ‘podcast’ sets the foundation for all the creative work we do at the Workshop. During the 3-Day workshop: The moment the workshop begins, everyone has watched and listened to all the introductory material – so we can start working almost immediately. When you walk in the room, you’re given a USB Tao of Color branded hard drive that’s yours to keep. It contains everything you need during the workshop: XMLs, EDLs, camera-original footage and more. It total there’s just under 90 gigs of material. When the workshop ends you keep everything on that hard drive and export your Resolve database from the previous 3 days worth of work you did so you can continue working on it at home. After the Workshop: Just after the workshop ends, you’ll be given access to the current online version of Colorist Flight School, where you can grade a second, entirely different short film, Dead Man’s Lake. All the video lessons and camera original footage is already on the USB hard drive you received at the workshop – so you can get started grading this second project immediately. You’re given all 6 hours of my DaVinci Resolve fundamentals video training series, so you can revisit core concepts from the workshop. And if that isn’t enough, you get 2 months free access to MixingLight.com – the brand new color grading website launch at NAB 2013 with its continuously growing library of quick color grading insights. What you’ll be learning . . .
Extensive Q & A opportunities, working through color grading questions you have – at the exact moment you have them. At the end of this blog post is the full syllabus – which WILL get revised on a class-by-class basis to meet each class’ unique needs and interests. Quite simply: Current or aspiring video professionals. Whether you’ve never touched DaVinci Resolve before or you’re an experienced Resolve colorist – you’ll be challenged, never left behind, never bored. 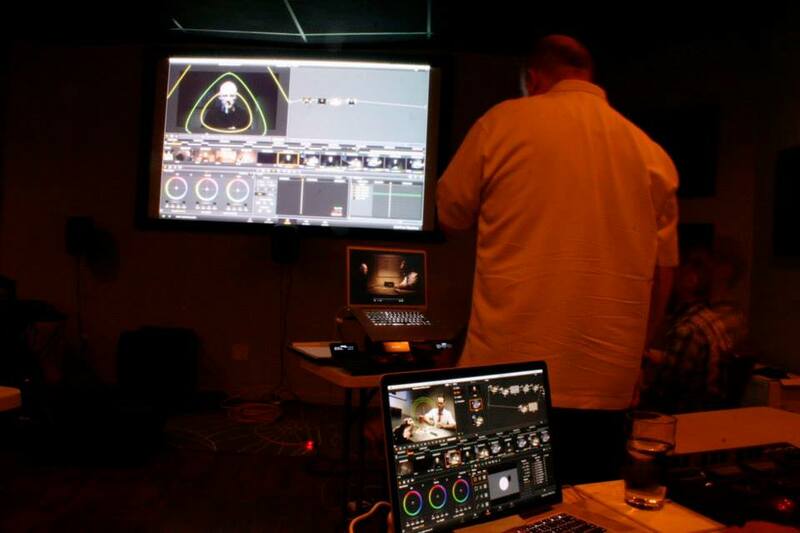 The workshop is appropriate for anyone looking to expand their skill set and make color correction either a primary or secondary offering to their clients. The only pre-requisite: You need a basic knowledge of timelines and other post-production terminology. It would also be helpful if you’ve tried to apply a 3-way color corrector at some point in your career and have (some) experience working is a non-linear editing package (you needn’t be proficient). Other than that, you should be good to go. “I had never used DaVinci Resolve before and I was little hesitant about [the workshop] because I didn’t feel that my color grading skill were quite up to par as they should be. Patrick did an AWESOME job explaining the use of the software and didn’t make me feel any less about being a beginner with the use of the program. It was a lot to digest in 3 days but I feel more confident moving forward and I’m looking forward to my growth of skill level in using the program and color grading. I would highly recommend to anyone to to take this course if they are able. TAO OF COLOR ROCKS!” – Greg Dinkins / Macon, Ga.
Quick note: Greg emailed me a few days after taking the workshop… he had trouble getting Resolve to read the camera original P2 footage on a client project (it turns out: Resolve doesn’t read the native P2 folder structure). By the time I had gotten back to him he had already moved on to the ‘flat file’ workflow and cut up a self-contained export and was grading in Resolve. I can’t tell you how elated I felt, knowing that seven days prior he hadn’t even opened DaVinci Resolve but now could adapt his workflow as needed! “Well, I have been using Resolve for about a year and a half. I thought [the Workshop] was going to be too basic for me. And that it won’t be worth the money, because it was going to go through stuff I already knew . . . I was completely wrong. It has gone though so many of the finer points and so many things I was doing one way there are better way to do things. And answered a lot of my basic questions. And have gone into finer details of things I thought I was doing right, but found out there I wasn’t doing it the most appropriate way.” – Rob Leaderman / Atlanta, Ga.
How cool is that? Feedback from two professionals at different points of the learning curve with color correction and DaVinci Resolve. Yet neither felt they were lost, left behind or bored. When deciding where to host these Workshops, the easy choice would have been to host them in New York City and L.A. But I decided to try an experiment and hold them in smaller markets around the country. I want to see if cities like Austin, Atlanta, Orlando, Boston and others could support a premium 3-day workshop… where student travel expenses could be minimized – instead of just keeping to the big bi-coastal markets. We’ll see what happens – but thanks to the sponsors of this 7-city tour, it doesn’t matter if only 1 person signs up for a city… if you sign up, I’ll be teaching. It’s that simple. What cities and dates is this workshop being offered? If it weren’t for these following sponsors, I couldn’t roll out this training the way I am. Thanks to their financial support, I can guarantee every single workshop will be held, even if only one person signs up! Who knows, if you sign up and end up with one-on-one training… you could easily be the most well-trained colorist in your market! And if 10 of you show up… you’ll have the basis for a local color grading User Group! FSI is a direct-to-end user manufacturer of high-quality, feature-rich, price-competitive LCD critical viewing reference panels for professional video applications. They will be shipping one of their 10bit reference LCDs to each workshop so all attendees can optionially spend some time grading to a 10-bit reference monitor. FSI is also providing a 10% discount to all workshop attendees that can be applied to ANY of their gear (a potential $550 savings). Yes, the co-creators of the original Kona card, the creators of the Decklink series of output boards (plus a bevy of other conversion and monitoring gear) and the company that bought DaVinci and released the amazingly free version of DaVinci Resolve are on-board as Supporting Sponsors of the 2013 Tour of Colorist Flight School LIVE! BlackMagic is also providing an UltraStudio Mini for this Workshop to demonstrate how we can get from a Thunderbolt-enabled computer out to the FSI 10-bit LCD display. Another instrumental partner is this series of 7 workshops is Future Media Concepts. It's as much an experiment for them as this is for me. And they made it much easier for me to coordinate this multi-city tour. Thanks to their agreement to open up their facilities across the USA to this workshop... I can focus on creating a great workshop, knowing I'll have quality learning labs and projectors. In a few days I'll post pictures and thoughts about my very first time presenting Colorist Flight School LIVE! in Georgia. 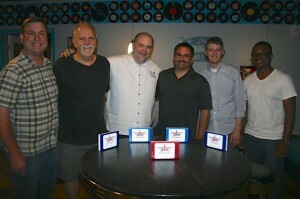 We had a great time and Walter Biscardi and his staff at Biscardi Creative were amazing hosts. In the meantime, feel free to head over to Eventbrite to reserve your spot in your city of choice! I've set a limit of 10 students per workshop, so if you want to attend don't dawdle... go ahead and sign up. “The Grayscale Game - Contrast"
“The Grayscale Game - Color"
The Three Step Color Grading Process... applied to nodes. What is shot matching and how do you do it? Parallel and Layer Mixer Nodes: What's the difference? Export your DaVinci Resolve Colorist Flight School project files - so you can take the work home with you and continue your studies.